Reynolds Mountain is a gated luxury home development that sits high atop a mountain and is just minutes from downtown Asheville NC. Reynolds Mountain is great for luxury homes and offers residents a superb urban village just outside of its glorious gates only foot steps away. 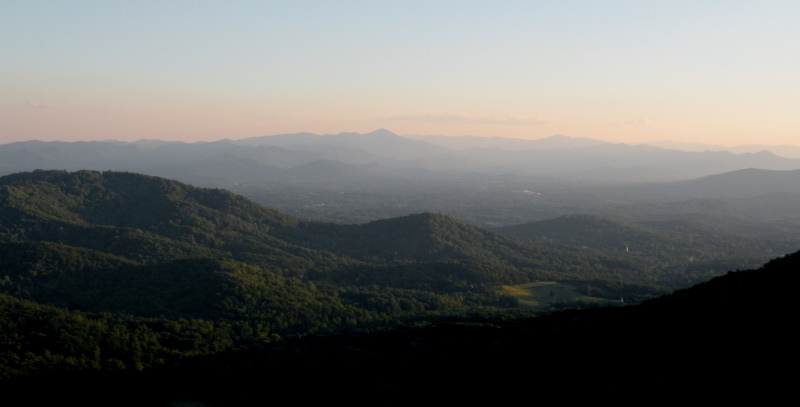 Call Green Mountain Realty today at 828.215.9064 for luxury homes, land or real estate here in the Asheville area. Enjoy the convenience of this lock and leave luxury townhome just minutes from everything. Beautiful Brazilian Cherry wood floors, tongue and groove ceilings, main level living and stone fireplace are just several of the features within this three bedroom home. Large walk-in pantry could be converted easily to an elevator if needed. Live the Reynolds Mountain Lifestyle- minutes to grocery stores, restaurants and shopping yet miles of views and serenity from the large covered deck. I have a question about the property at 5 Point Bluff Drive Asheville NC 28804 (#3477391). I would like to schedule a visit for the property at 5 Point Bluff Drive Asheville NC 28804 (#3477391). I have a question about the property at 302 Ava Lane Asheville NC 28804 (#3368785). I would like to schedule a visit for the property at 302 Ava Lane Asheville NC 28804 (#3368785). Unique opportunity to own a level homesite at nearly 3,000 ft in elevation at the peak of Reynolds Mountain in North Asheville. Build your custom estate home to take advantage of the sunrise AND sunset views- a feat rarely attainable in the mountains. This homesite situates itself well to accommodate one-level living with year-round, layered mountain views of the Blue Ridge Mountains- including Mt. Pisgah, Cold Mountain, Tennessee Mountain and the French Broad River. Being along the ridge, enjoy immense privacy by sitting above street level. Nearly level topography provides flexibility in various home designs and styles and lower site prep costs vs a sloping/steep homesite. Reynolds Mountain is minutes from downtown Asheville, Mission Hospital, UNCA, the interstate, shopping, dining & entertainment. I have a question about the property at 107 Summit Tower Circle Asheville NC 28804 (#3483542). I would like to schedule a visit for the property at 107 Summit Tower Circle Asheville NC 28804 (#3483542). I have a question about the property at 304 Ava Lane Asheville NC 28804 (#3368776). I would like to schedule a visit for the property at 304 Ava Lane Asheville NC 28804 (#3368776). I have a question about the property at 308 Ava Lane Asheville NC 28804 (#3368763). I would like to schedule a visit for the property at 308 Ava Lane Asheville NC 28804 (#3368763). I have a question about the property at 43 Summit Tower Asheville NC 28804 (#3352275). I would like to schedule a visit for the property at 43 Summit Tower Asheville NC 28804 (#3352275). I have a question about the property at 306 Ava Lane Asheville NC 28804 (#3368769). I would like to schedule a visit for the property at 306 Ava Lane Asheville NC 28804 (#3368769). I have a question about the property at 307 Ava Lane Asheville NC 28804 (#3368729). I would like to schedule a visit for the property at 307 Ava Lane Asheville NC 28804 (#3368729). I have a question about the property at 301 Ava Lane Asheville NC 28804 (#3368754). I would like to schedule a visit for the property at 301 Ava Lane Asheville NC 28804 (#3368754).